This entry was posted in Hong Kong Immigration Hong Kong QMAS and tagged Hong Kong immigration Hong Kong Immigration Process Hong Kong Immigration Requirements Hong Kong QMAS migrate to hong kong Process of Hong Kong QMAS Requirements of Hong Kong QMAS work in Hong Kong on February 6, 2015 by Blog Author. The beautiful and prosperous country of Hong Kong is a famous destination that immigrants most often choose to relocate. This is because of the safe and secure surroundings with less crime rate, the friendly people who make you feel at home and the attractive tourist spots located in this country. Hong Kong has a lot of good and reputed schools, colleges and universities where students from abroad come every year to learn from its state-of-the-art technology. The lucrative employment opportunities drive people to this great nation as well. 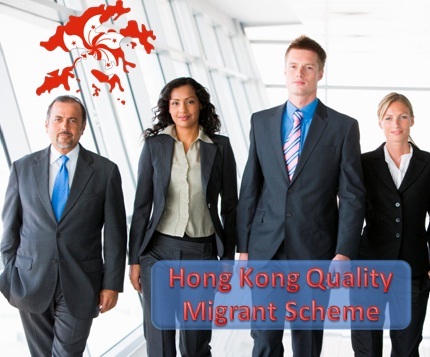 If you are a highly skilled or talented person seeking for Hong Kong immigration, you can gain entry into the country by applying for a Hong Kong Quality Migrant Program. This program is an entrant scheme and is based on quota. It is especially for highly skilled and talented individuals who wish to enter and live in Hong Kong but don’t have the rights to do so. If given the rights to live there, they contribute to the country’s economy. Such applicants are not required to hold an offer letter from an employer. There are two methods which are points-based in this system-General Points Test and Achievement Points Test. If you want to migrate to Hong Kong with this scheme, approach MoreVisas by filling our Enquiry Form.